Having longer fuller lashes is the way to go these days. With everyone blowing up Instagram with their latest eye makeup tutorials and the constant photos of how flawless and gorgeous their eyes look, why wouldn’t you want longer lashes? Well we have hacks and tricks for you to get longer eyelashes without having to spend lots of money. You will definitely look fabulous after doing just a few of these tips. What on earth do I mean by this? I mean you already spent enough money on your mascara, don’t spend extra money buying a “better” mascara wand to help make your lashes look longer. No. You can do something much simpler than that. Simply, but carefully, bend the head of your mascara wand into what is almost an ‘L’ shape. It will make it easier to fully coat your lashes with mascara. Your eyelashes are just hair that comes off your eyelids. That is all they are. So all those hair masks you have read about to get smooth, silky, longer, thicker, whatever it may be, hair you can probably use on your eyelashes to get longer lashes. Olive oil, castor oil, and coconut oil are the best for your eyes, and the least dangerous. Every makeup guru out there is always telling you to wiggle your mascara brush when you are putting it on your lashes. “Really wiggle it in there.” Which like without a visual guide what does that mean? You will be able to keep your lashes flipped up to the heavens if you wiggle the brush against your eyelashes. Just dig in there until you feel that your eyelashes have been thoroughly coated and then brush them out all the way to the tip. This is one of the many eyelash masks that you can apply to your eyes to give them a fuller longer look. The results are going to be noticeable within three days, but if it is taking a bit longer than give it up to a week. You are going to have to make sure you stick to a routine though. Apply a coat every night before you go to sleep and leave it on for a full night’s rest. That means 6 to 8 hours. You will have full healthy lashes in no time. When coating your lashes, most people only coat the underside. (This is the side that sandwiches with your lower lashes.) This means that most people are neglecting the upper side of their lashes giving them only half the potential their lashes could have. Be sure to coat both sides of your lashes when you are applying your mascara to bring out that extra length. Trust me. A little extra work goes a long way. Green tea can be used for so many things… from bringing life back into the bags under your eyes, to helping with sun burns. This herbal concoction, which is my favorite caffeinated beverage, is going to do wonders for your lashes. Leaving your lashes looking longer, fuller, and your eyes will look healthier, more alert, and younger. You can’t go wrong. Whatever beauty mirror you use for all your makeup needs, hopefully, it isn’t just the bathroom mirror, and you have some kind of handheld mirror or compact mirror. Well, you are going to take that mirror, and lay it down flat, like you are looking into a reflection pool. Having the mirror flat allows you to look at your eyelashes from an angle you wouldn’t normally be able to see which then means you can apply the makeup thoroughly. This means that you are going to have to be okay with getting slightly uncomfortable. You are going to take a soft black eyeliner pencil and color in the upper part of your waterline. Your waterline is the inner part of your eye that isn’t facing your eyeball. It sits like a shelf for your eyelashes. Yeah, well, if you darken that part with your eyeliner it makes your eyes look whiter, and your lashes look darker and longer. It’s a win-win situation here; there just might be a little bit of discomfort. An easy, yet still difficult option. With false eyelashes, you will have the dream eyelashes you have always wanted, but you will have to teach yourself how to apply the eyelash glue as well as trying not glue your eyes shut. 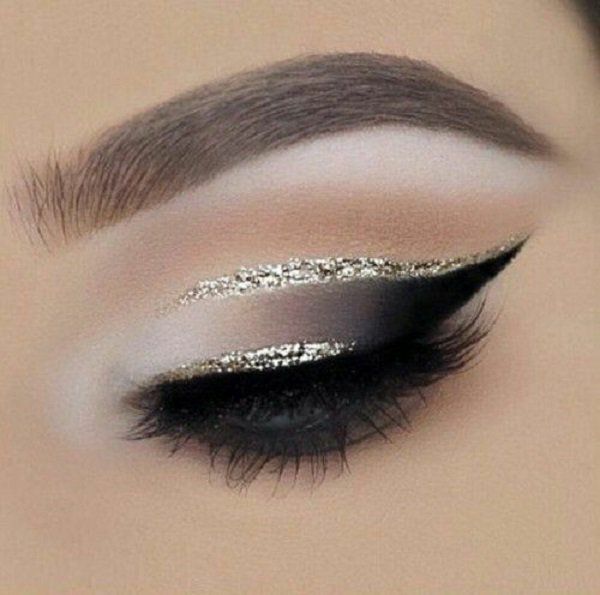 Falsies look stunning on everyone though. Even though it may be a little bit of a struggle, it is an excellent way to show off your new longer lashes. Check out the 10 Best False Eyelashes that Marie Claire swears by. Biotin is a supplement that promotes hair growth. Pros: your hair and eyelashes are going to look great! Cons: this means hair everywhere, not just your head. So you are going to have to be prepared for that. Because your body doesn’t come with the necessary amounts of biotin naturally, we have to take supplements to have beautiful nail beds, silky hair, and long lashes. What the heck does that mean?! Because eyelash curlers are obviously not meant to move when you have it that close to your eyeball. Well, what I mean is that you should rotate your eyelash curler upwards to get an even more intense eyelash curl. This will give the illusion that you have longer eyelashes. Or there is option two, which involves a bit of multitasking and coordination. You are going to have to apply mascara while you are curling your lashes. That sounds absurd, but it will keep your lashes curled for longer which means looking longer for longer. 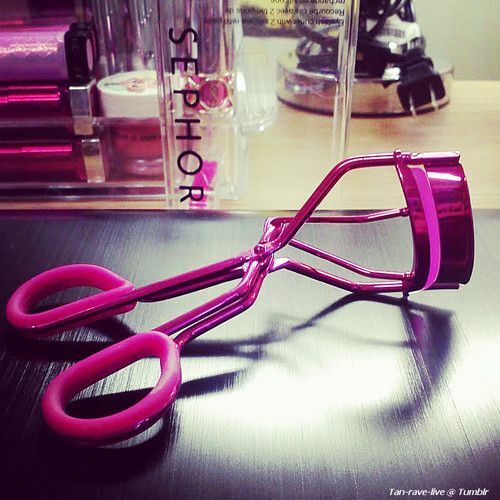 If you don’t have an eyelash curler, you can get one on Sephora’s website here. Assuming you are a mascara newbie, then you probably haven’t played with the angles of your mascara wand that much. The two most important angles to know are vertical and horizontal. If you hold your wand up and down and apply the makeup this way, it will give you more natural looking lashes. If you hold your wand left to right, it will give you thicker fuller lashes. I have found that a combination of these two gives me the lashes that I have been looking for. If you angle your mascara wand in a diagonal direction it will help you stroke the full length of your lashes to give you longer, fuller yet, still natural, looking eye makeup. This is the oldest trick in the book. The idea is that you fill a bowl or a glass with warm water, not boiling, just warm and let your mascara sit in it to melt the liquid that goes on your lashes. But, I have found that if you just run it under some hot water for about 30 seconds to a minute, you will get the same results. Clumpy mascara never helps anyone out so warming up your mascara is an important step. Your eyelashes are going to stick together, and they will look shorter than usual. It doesn’t necessarily have to be baby powder, but that is what all the beauty gurus recommend. Any ol’ powder will do. Whether it is your powder foundation, your eye shadow that has fallen onto your lashes or just the baby powder you have in the bathroom. Put your mascara on like you usually would. 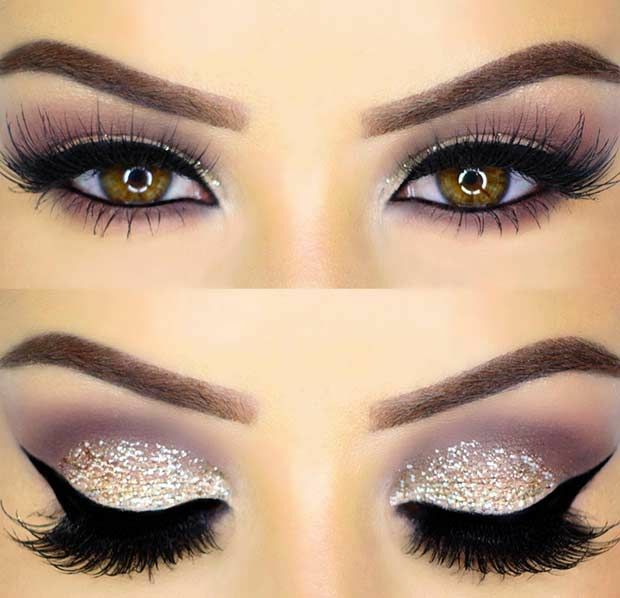 Apply a little powder to your lashes and then re-apply mascara. And like magic, you will have, what will appear to look like, fiber lengthening lashes. Which are more costly than a regular mascara. Although I have always been interested in this concept, I have yet actually to do it. But it is a painless process, and you get a full set of lashes that you don’t have to peel off at the end of the day. They look natural and can be any length you are interested in having. Let us know what worked best for you in the comments below!